Update: Removed from the App Store. Play the popular 80s Nintendo Game on your iPhone. Your finger is the gun! This app is called Duck Hunt: The Game, created by SoftGamers for the iOS and sells for $1.99 in the App Store. The price is a bit too high for the game, considering there is nothing new here. You get the basic classic game on your iDevice. In each round you get to shoot down 10 ducks. You have 3 chances to shoot each duck, who appear on the screen one at a time. 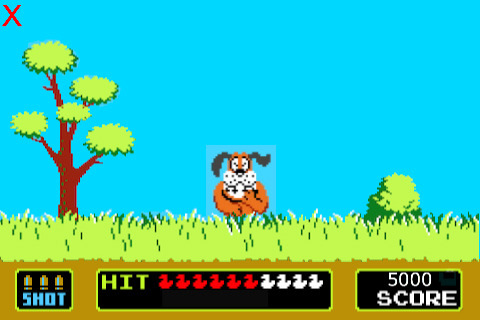 AppSafari review of Duck Hunt was written by Joe Seifi on August 8th, 2010 and categorized under App Store, Fun, Games. Page viewed 7811 times, 2 so far today. Need help on using these apps? Please read the Help Page.